I agree with the first part of that statement, it’s the second part that I find alarming. Coming from Microsoft, how can young people build the skills to write code when they can’t even pay for the closed software needed to run it? 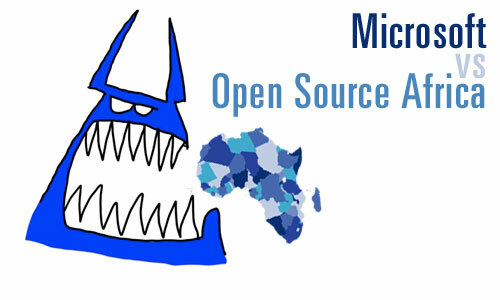 It’s not free, and if access (which he states earlier) is the biggest issue facing African technologists – then how does closed software fit into the equation? Let’s say that the developer communities do emerge even with that hurdle, we’re still left with what one person wrote: “…they will be formed from programmers who are completely dependent on American software for the livelihood: it’s neo-colonialism, pure and simple.” At it’s worst then, African governments are paying for Western products, and are dependent on these large organizations to maintain and support critical systems. Netzpolitik writes an interesting piece, pointing to a recent WSJ article and talking about how Microsoft positions itself within education and government circles in Africa, thereby cutting off major revenue sources for open source developers and organizations that originate from within the continent. There really are two costs when dealing with software: the expense of buying and maintaining it, and the knowledge cost within the local programming community. The monetary side is a short-term cost relative to the knowledge costs (core competency) that a nation does, or does not, develop over time. In Africa organizations have a lot of hurdles to overcome, not least of which is the straight cost of doing business. Where it might be simple for some organizations in the US and Europe to wave off a couple thousand dollars worth of licensing fees, the same is not true in Africa. The margins are lower, so every cent counts. In a region where cost is so important, it’s amazing then that the most lucrative deals go to the Western organizations that have high costs for ownership and maintenance. These outside organizations use backdoor methods to gain contracts where in-country options are available, usually with less expense and with greater local support. The bigger problem is the knowledge costs, or lack thereof, when closed source organizations muscle into the most lucrative fields. What the country ends up doing is stifling its own programming community. Without money trickling back into that community, its growth is stunted. Instead of young developers learning the fundamentals of coding in open code, they end up going to work in an office that runs proprietary systems. The last year has taught me a great deal about working in the open source space. Not just in developing a tool using these principles, but in helping create a non-profit technology organization focused on open these same fundamentals. That is, we believe that the best use and furtherance of our technology, and our organizations goals, is done with and by the greater community that grows around it. We serve as a focal point from which this community gains energy and to act as a group which is dedicated to the core framework of the tool itself. Do all situations need and/or require open software? No. In some cases closed-source options are just plain better, which is why I have no problem buying great apps for my PC, Mac or iPhone that make my life easier. I don’t believe that all technology has to be open, though I do think that by keeping it completely closed most companies will be bypassed by their open counterparts in the long run. Good examples of this are the Firefox browser and WordPress blogging platform – possibly Android. A couple of weeks ago Microsoft announced their new Vine product. 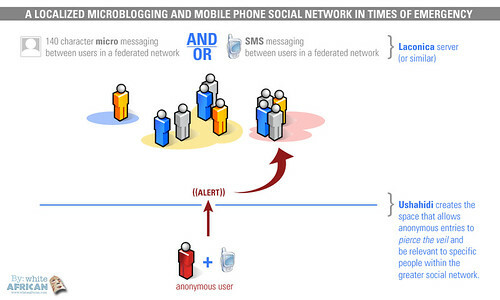 It has a lot in common with Ushahidi, including sending and receiving of alerts via SMS and email. To be honest, we have no ownership of this idea, but what we do have is a question as to why Microsoft believes and works to create crisis and emergency systems in a closed way. Unless Microsoft is creating something truly revolutionary, which I don’t see that it is in Vine, then I would rather see them put their development muscle behind something that actually is. 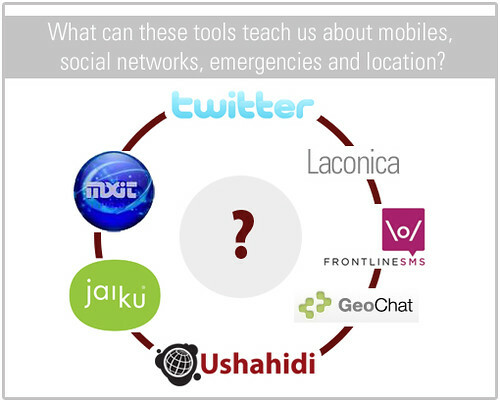 It doesn’t even have to be Ushahidi. Finally, if they really are about creating emergency and disaster software for use by normal people, then I would encourage them to not charge for it and to make it as open as possible for others to work with it, including Ushahidi. 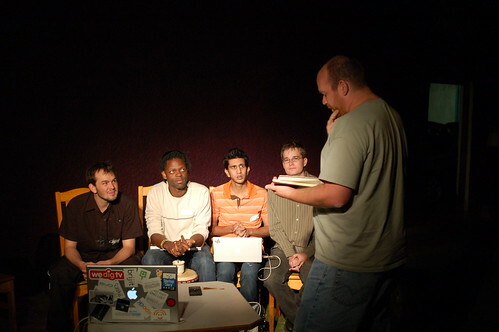 This was my favorite talk at the Web 2.0 Expo – probably one of my favorite talks period. I promptly went out and bought Clay’s new book, Here Comes Everybody, and am working through that right now. It’s good. 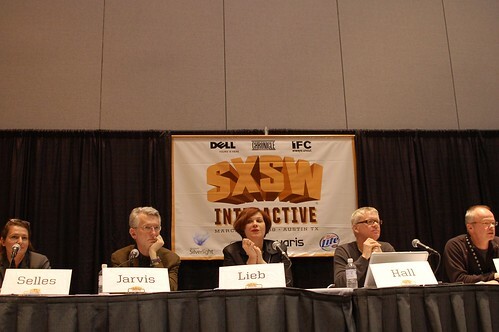 Currently I’m sitting in the “The Suxorz: The Worst Ten Social Media Ad Campaigns of 2007” panel at SXSW. The panel is full of interesting, and well-known, characters in the ad/media space. This panel of bloggers and marketers will dissect ten terrible ad campaigns that abused the ideals of people-powered media, then award The Suxorz Trophy to the worst. 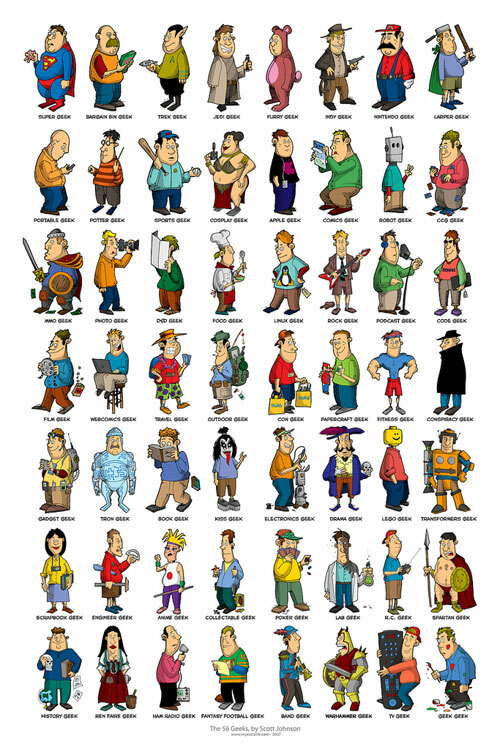 Scott Johnson has created a hilarious poster of 56 geek-types. Which one are you? So many choices… I think I best fit the mold of a “photo geek” (or an “MMO geek”, I love playing online games when I have the time). You know you have blog envy. That’s the feeling you get when you go to a blog and start getting those feelings of inadequacy. It might be because of really good design, maybe the writing is just incredible, it could be that they’re better at breaking stories or any number of other reasons. It’s not just the great content, or the perfect design… It’s the whole package and it makes me angry just to go there. Part of Om Malik’s “GigaOm” network, it has thoughts, stories and tips on how to work from a mobile environment. I’ve been envious of Coda’s brilliant blog design for over 2 years. Don’t let me get started on his photography skills, comparing myself there makes me feel absolutely pathetic. Please teach me how to be a Coda-clone so that I can die happy. Anyone who averages over 35 comments PER POST deserves credit. I’m extremely jealous of his ability to create community, not to mention his ability to write “funny” (though you have to be from Kenya to catch some of it). It’s like crack for someone who is interested in development and technology. I can’t go to World Changing and just read one story. No one manages to get an idea across better than Kathy Sierra. This is where I go to beat myself over the head learning how to create simple graphics that you instantly “get”. If you would like to participate in this exercise, please tag your post with “blogenvy” and list 3-5 blogs that create deep feelings of envy and jealousy.